Inside the Castle there are five partially restored staterooms housing a changing programme of exhibitions. 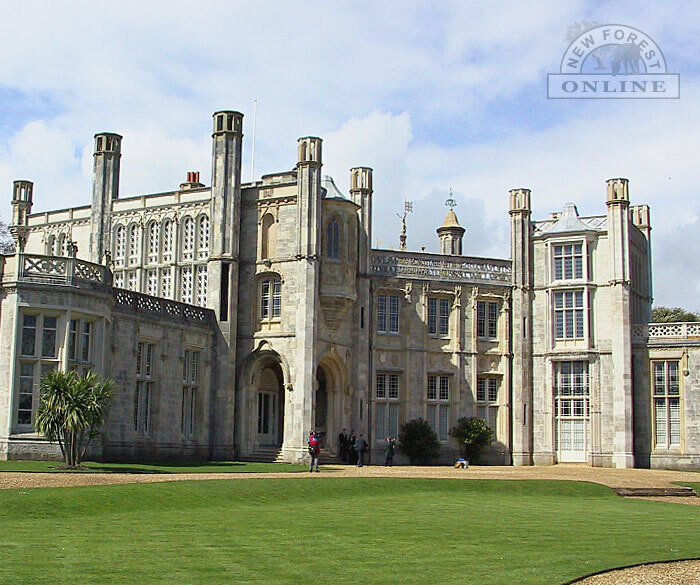 An odd but attractive building on a large scale, Highcliffe Castle was built in the 1830s, enhanced by the inclusion of real late Gothic French features such as the very elaborate oriel window above the porch and the windows to the right of it. The house has been restored to its former glory after extensive fire damage in the 1960s and a park around the house is open to the public - and there's direct access to the beach from the castle car park (pay & display). Guidebooks can be obtained from the Castle gift shop and (pre-bookable) guided tours are available. Enthusiastic and dedicated volunteer teams, of over 40 people from the local community staffs the Visitor Centre and are on hand to answer your questions about the Castle and it's chequered history. 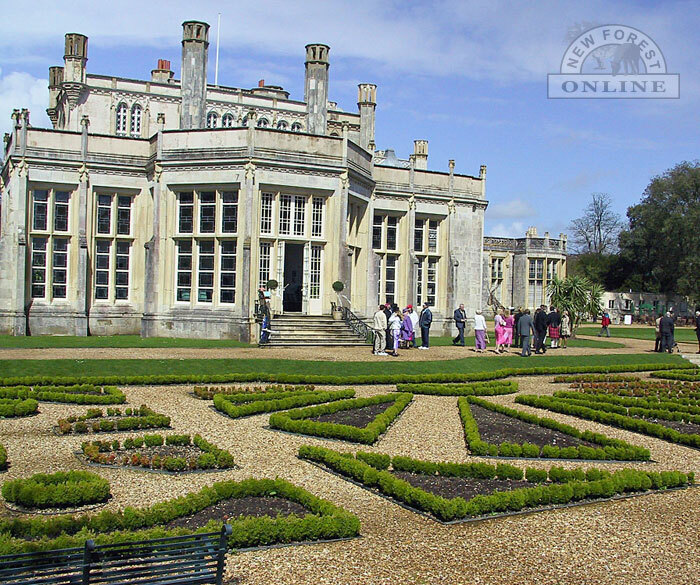 Tours of the grounds and Highcliffe Castle, describing the Castle's history can be arranged for groups. Tours may be arranged by prior booking, a minimum of 10 people can be accommodated. The schedules can vary, as the castle also caters for weddings and other private functions. Highcliffe Castle tea rooms opens from mid-morning every day, except Christmas Day, and serves a range of hot and cold drinks, snacks, light lunches and cream teas. Seating is available both inside and outside. Cakes, confectionery and various take-away nibbles are available if you don't have time to stop and there is also a selection of ice creams. A wide assortment of home-made cakes are offered. You can also purchase a whole cake to take home. For more information about Highcliffe Castle, visit the Highcliffe Castle Website or phone 01425 278807. More about Highcliffe.